Fundamentally, the two machines have a virtually identical operating system. That said, there are some differences that we need to highlight – in all instances, the MPC2500 is the machine with the extra OS features. 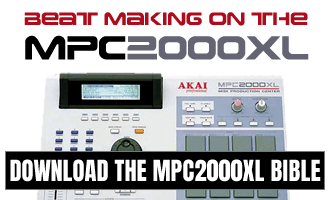 MIDI Synching – the MPC2500 allows MTC (MIDI TIME CODE) synching. Velocity > Pitch – In the MPC2500, you can set the pitch of a pad to change based on the velocity you hit the pad. Grid Editing – A visual step editor that offers a great alternative to the numerical editing of Step Edit. Direct Recording – Allows you to record a non-MIDI internal sample while playing back a sequence, thus ensuring you play your sample in time. This can be used when recording things like vocals, scratching and guitar parts. Recordable track mutes – finally, the ability to record muted sections of a sequence! Autochromatic Assign – instant and dirty multisample programs using the favourite XL feature that was ommitted on the 1K. Output assignment – the MPC2500 lets you assign mono samples to just one output, but with the 1000, it has to be assigned to a stereo pair and panned hard left or right for true mono. When it comes to hardware, we have two very different machines. Pad feel – the MPC2500 has the classic MPC feel to the pads. The MPC1000 on the other hand has very poor, hard pads which have been known to bust quite easily. The MPC1000 pads were improved on later models, so the pads feel close to the classic MPC pad feel, but as they are smaller, they are still not quite the same. 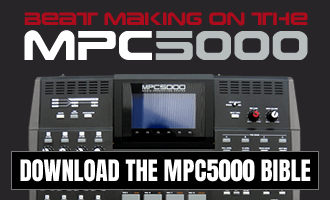 Outputs – the MPC25000 has a total of 10 outputs, the MPC1000 has 6. MIDI Outs – the MPC25000 has twice the MIDI outs (4). Tilting Screen – a very useful feature, something that always made the XL far superier to the MPC2000. Data wheel – Here, both machines fail miserably as both feature horrible plasticy jog wheels. However compared to each other, I feel the MPC1000 has a slightly superior wheel as it doesn’t make the ‘clacking’ noise of its big brother. CF Card – again, both machines have quite a poor CF slot which makes it difficult to slot the card in. CDROM – the MPC2500 has an optional CDROM drive from which you are able to sample from directly. More dedicated buttons – the MPC2500 sees the welcome return of the dedicated number pad and also buttons like ‘STEP’ (rather than using shift and BAR). Less cramped feel – everything feels more spacious on the MPC2500. With the MPC1000, it’s always a problem accidentally hitting the wrong button, e.g. hitting the PLAY button when performing actions on the mode and shift buttons (I’ve got big hands). Weight – you cannot describe the MPC2500 as portable! Generally speaking, I prefer the MPC2500, It has a better build, better feel and a superior operating system. Of course with the introduction of JJOS, the differencs in the operating system features have all but disappeared, as JJOS tends to be 99.5% identical across the two MPC models. I’ll be looking at JJOS in more detail elsewhere on the site, but assuming the OS on the two machines were identical, I feel the MPC2500 edges it for me. But of course on the other side of the fence, there is something to be said for the MPC1000 – it’s small and light and powerful and many people do not need the additional ‘extras’ offered by the MPC2500 – so why not save yourself a few hundred dollars? Either way, each one will provide you with a classic MPC workflow, and that’s what really matters. I guess i just need acceptance more than any advice. I have an old MPC 2000. I have it for 8 years or something and it have been fun, but I am fed up with it. I need something better, or maybe modern, and not very expensive. I am tired of JAZ or ZIP disks, I also need something that do time stretch. Most I like making classical hip hop beats – looping (beats, melodies…). I really enjoy crate digging and sampling from OG vinyl. First I thought I should buy Renaissance, but its expensive and I am not sure I would fully use it. So next I thought MPC 2000XL which is propper classical heavy hittin – perfect for me. But it also need some improvements since I dont want to use ZIPs and JAZs. And its old. Now I am seriously thinking about MPC 1000 and when I saw your comparing it with 2000XL I am even more serious. But I am very confused with all those JJs and systems. I also know that there is some older 1000 and newer 1000. Could you help me with this please. What is the best? Sory for being confusing. Thank you. Look for an MPC1000 on ebay that has the ‘new style’ pads already installed. Most sellers will mention this in their listing. Akai shipped later MPCs with these pads already fitted, although many people have fitted them themselves on the older MPC1000 models (the pad upgrade can be purchased from mpcstuff.com, it’s $175). But usually second hand MPC1000s cost the same with or without the pad upgrade, so try to get one with it already installed. The free JJOS is a good OS for a beginner, otherwise I recommend JJOS2XL if you are looking for a more advanced OS. IF you keep an eye on ebay you’ll often see MPC1000s for sale with both the new pads and JJOSXL. What if seller doesnt mention those new pads, can I recognise somehow the later MPC (color, year of production, etc.)? Also can I change free JJOS to JJOS2XL by reinstalling? The seller will usually mention this, there are plenty of MPC1000’s on ebay each month and many of them mention the pads. It’s tricky to know unless the seller can verify this as some black MPC1000s didn’t have them pre-installed, plus many of the blue ones now have them installed by the owners. The way to tell is by wiggling a central pad, on the new style pads, the pads immediately surrounding that pad should also move (the old style pads are independent of each other). To be sure, you have to open it up. And yes, you can keep swapping between JJOSXL and JJOS free – just hold down TAP TEMPO during boot up to swap OS. So just to clarify the if I upgrade my mpc 1000 to jjos2xl it will be do the same as a 2500? Just minus a couple of buttons? Software pretty much identical, hardware different. I’m a beginner and am seriously considering buying either an MPC 1000 or an MPC 2500. Do you know if I can use that feature when controlling the pad through an external drum pad? Do a JJOS2XL-MPC1000 have such a feature? 2) I want to buy an MPC because it is also a chromatic polyphonic sample player. At least the MPC 2500. Does the 1000 have such a autochromatic feature too (In the mpc 1000 manual, I only found something about the 16 level function)? Do both 1000 and 2500 have such a feature when equipped with jjos2xl? How many octaves can they play a sample back chromatically across? 3) If I connect a MPD to the MPC, can I assign a bank to the MPD and then control, i.e., bank A from MPC and bank B from MPD in real time? 4) Is it possible to apply the MPC effects to a single pad/some pads or a bank and use them in real time through sliders and knobs (in a live situation, like the roland sp 404 effects, for example)? Are effect parameters assignable to sliders and knobs in a arbitrary way? 5) if you buy and download jjos, could you use the same software for both machines or do 1000 and 2500 require two different versions of jjos2xl? If I have two MPCs do I have to pay twice in order to use it in both machines? Thank you very much in advance! Cheers! I think that JJ software when installed in my MPC 1000 was an improvement as far as ease of use is concerned .However in my opinion playback seemed to have lost the ‘feel’ of the Akai software.I have read that JJ software is based On a PC clock which is supposed to be differant to the Akai OS and to my ears playback does not sound as musical as the the Akai OS …so I have gone back to using the Akai software. Am I imagining this ?.. Are you talking about the free JJOS (3.16)? This is identical to the Akai OS except for some bug fixes and the amended ‘LOAD’ screen. Basically JJ created the Akai OS and then bug fixed it with JJOS, it’s not a rewrite, it’s ultimately the same software with small bug fixes. Any lost ‘feel’ is purely imaginary. You say you have read about JJOS using a ‘PC clock’ – where did you read this? Do you have a link? I read it in a MPC blog somewhere.Will try and track it down but I did not keep a link. and yes it was the free software.will give the JJOS another try. I see the comments you are referring to, although he does not state which version of JJOS he is talking about. As I said, the free JJOS is nothing more than Akai OS with a few bug fixes, it will almost definitely use the same method of timing as the Akai OS. So if you are saying the Akai OS was fine, then the free JJOS will also be fine. It is possible that he is referring to one of the later JJOS versions (e.g. JJOS2XL, JJOS2 etc) which are, I believe, complete re-writes from the ground up, so it is possible that the timing on these OS are perhaps different to the Akai OS/free JJOS. But you’re on the free JJOS, so it’s not relevant. Obviously if you feel the free JJOS doesn’t cut it when it comes to timing, just move back to the Akai OS. But if you follow the link given in that topic (http://innerclocksystems.com/New%20ICS%20Litmus.html) you’ll see that the ‘inmusic’ MPCs (specifically 5000 and 2500, and the 2500 is basically the same OS as the 1000) fair terribly compared to the older MPCs (4000, 60 etc), so from that perspective perhaps you should be looking at one of the older models instead. In the end all MPCs are capable of making great music and I’d recommend just sitting down and having some fun with what you have, it really is a great bit of kit, especially when running any version of JJOS. Whenever I see guys on a forum pontificating about errors in ‘micro-timings’ or similar ‘mechanical’ and cold discussions, it’s always interesting to see that most of them never seem to have a link to their music anywhere in their profiles. I think I must have been listening to the JJOS XL because I remember I could not save with it.However now I am back on the free OS it seems fine which would make sense bearing in mind what you are saying about the later rewrites.However imagination or not you are right to say that people should not be too bothered about micro pc timings and I am just getting the hang of the MPC 1000 it seems to make whatever you do sound better..a very musical feel to it.I did have an mpc 60 a about 10 years ago but unfortunately had to sell it.I agree with you The MPC 1000 is as you also say an amazing piece of kit .so hopefully I will carry on having fun with it..and make some good music.Thanks for your help. If you can’t save on 2XL it’s because authentification hasn’t been made. Are there any differences regarding the DA-converters on the MPC2500 compared to MPC1000? I have MPC1000 and although it sounds good it does not have a lot of headroom so if material is dynamic there will be noise in the background. Which mpc is good for beginners?